Mako leads a huge force of super-freaks up against Solar Man with the intention of killing him before he gets around to eliminating them. Animal wields a giant gun which was designed to take down the hero but Solar Man launches an assault before the villains can even react. He then begins the process of slaughtering them all. In the Happy Hills rest home in Baltimore, Maryland, Dragon pays a visit to an elderly woman that is revealed to be his wife’s mother. This woman seems to have lost some of her mental faculties and begins talking about Jennifer’s two brothers. The meeting soon ends and Dragon is left more confused than ever as he believed that not only was Jennifer’s mother deceased but that she was on only child. His attention is then diverted when a local news bulleting reports on monsters attacking the city. She-Dragon awakens in the dungeon where she is being held to find a young mutant girl bringing her some water to drink. This youngster is grabbed around the throat by She-Dragon who threatens to kill her unless she is given her freedom. The realization of using such a harsh threat on an innocent knocks She-Dragon back and she releases her prisoner. Within their Danger Zone home, Red Giant and Star come under siege from the Demon Dogs. Despite her own strength, Red Giant is overwhelmed by the power of her opponents which leaves Star vulnerable and he is soon beaten unconscious. Fire Lord congratulates his allies on their victory and declares that now their enemies have fallen that the real fun can begin. Meanwhile in Dimension-X, Malcolm Dragon fends off the attack from yet another monster but this time his foe speaks, confusing the youngster with his father. Malcolm demands to know what the monster knows about his father, hoping that it will help lead him and his friends back home. Dragon arrives in the middle of Baltimore where Invincible has shown up to try and deal with two invasions from beneath the Earth’s surface. The Magmanites and the Lava Lords are battling one another and numerous innocent civilians are getting caught in the crossfire. Dragon suggests that he deal with the weaker Magmanites while his more powerful ally takes on the Lava Lords. This plan only works momentarily as Dragon is soon overpowered by his opponents. As the fighting continues, Dragon notices that it is only the Lava Lords that are killing anyone and that the Magmanites actually seem to be trying to protect the bystanders. He and Invincible change tactics again they focus their actions solely against the murderous Lava Lords. These invaders claim that they number in the millions and that they will soon conquer the surface world. Angel Dragon changes into her Battle Girl costume and plans to head out to the Danger Zone to pay a visit to her friends. Alex Wilde catches her before she leaves and points out that she is far too far behind in her studies to be going off and playing hero. Angel reluctantly agrees to stay home and study, reasoning that Red Giant and Star will survive without her stopping by. Solar Man continues to massacre the Vicious Circle members that had assembled to take him down, leaving only a cowering Mako and LowBlow surviving. Before Solar Man can complete the annihilation of his enemies he detects trouble elsewhere and races off at super-speed. As Dragon and Invincible are completely overwhelmed, Solar Man arrives and uses his heat vision to simply incinerate every single member of the two warring races. He acknowledges their efforts as being valiant but he could not allow the deaths of innocents to continue and so was forced to act. 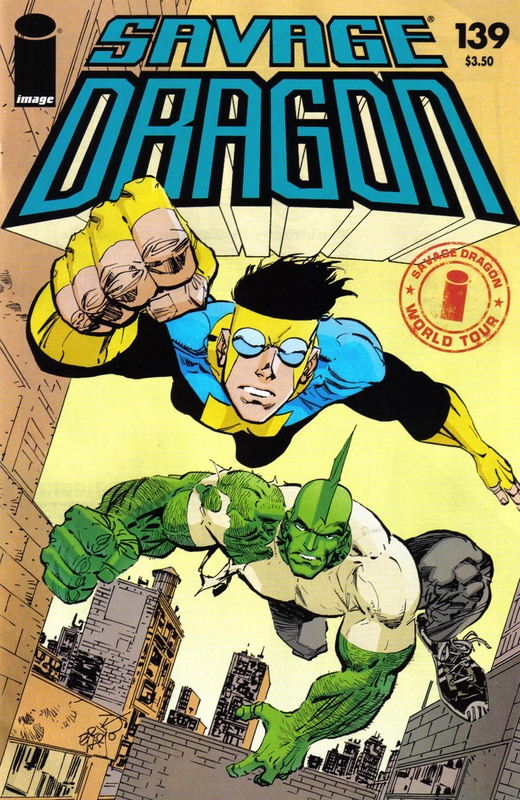 Invincible has no idea who this man was but Dragon warns that Solar Man may well be the greatest menace that they have ever faced.